If you want to experience anything like unconditional love, you may need to adopt a pet. And if you are already experiencing the bliss of unconditional love then you already are a pet parent. However, for both kinds of people, who are planning on adopting a pet and for those who are the happy pet owners, it is of utmost importance to keep the animal’s safety in mind. There are several dangers which could put you and the pet in a critical crisis if you are unaware about the possible solutions. Instances like ingestion of chocolates, onions, poisonous plants, etc, breathing issues, insect stings, etc. are some of the issues that may topple your life in a second. To overcome the dangers, here are some safety tips suggested by Havahart wireless. Let’s have a look at some handy tips to use when faced with unexpected pet health issues! What to do if your pet consumes anything that he shouldn’t? Ignorance sow seeds of problems. In spite of being a guardian to a canine or feline, there may be many pet owners that are unaware of eatables fatal for pets. There are plants that are beautiful and may add ethereal beauty to your backyard, but if you have a pet, or planning on adopting one then it may be better if you do not include them in your garden. What are some things that you need to keep away from pets? Onions and chocolates can be deadly for pets, even if consumed in small amounts. ½ cup of onion and 2 oz of semi-sweet dark chocolate is enough to make a 20 lb sick. The darker the chocolate, the more harm it would cause. Among flora, daffodils, sago palms, dumb cane, lilies and azaleas are common household plants that are not safe for canines. If you have a black walnut tree in your backyard you may need to stay extra cautious. When these walnuts fall from the tree, they can produce a mold that is highly dangerous for pets. What should you do in case your pet consumes any of it? Panicking is the most obvious reaction when a pet guardian finds that their pet has consumed such a poisonous thing. 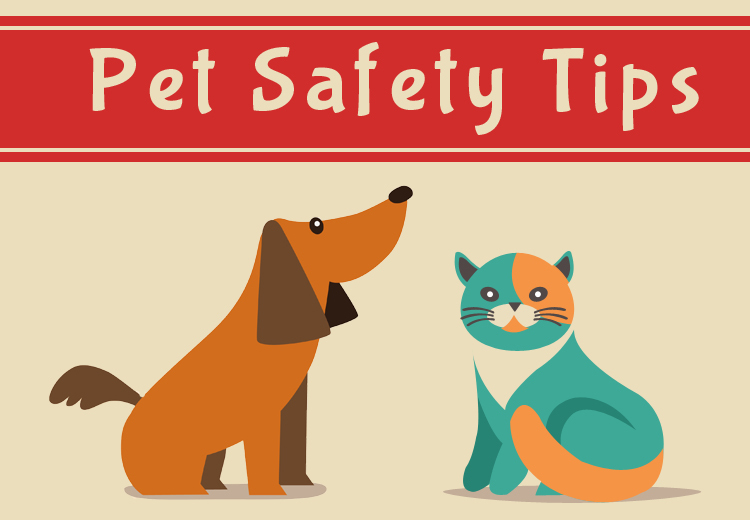 However, you have to stay calm and composed to think clearly for your pet’s safety. The first thing after you get yourself together of the fact is to contact your vet immediately. In case of eatable consumption, ask your vet about having the pet’s stomach pumped. In an instance of any kind of plant consumption, ask your vet whether it is poisonous for your pet or not. Ask your vet if inducing vomiting using hydrogen peroxide would be safe or not in the respective case. If he permits, use 1 tbsp of hydrogen peroxide for every 20 lbs weight of your dog. Collect the vomit sample for the lab test, it could make things easier for your vet. In case of plant consumption, it may be dangerous to induce vomiting. Ask your vet regarding giving milk to your pet which could help rinse your pet’s mouth and dilute the toxins. What should you do when your pets are unable to breathe? Due to several reasons, pets can die or suffer debilitating injuries if there is no supply of oxygen. The different situations that could lead your pet to breathing problems are car accidents, tight collars, accidental ingestion of toys or other hard substances, and high falls. Contact your vet immediately and prepare yourself for giving rescue breathing. Check your pet’s mouth to make sure that nothing is blocking his air pipe. A chunk of food, toy, or any other thing could be the reason of choking. If you own a small pup, cradle him in your lap and in other cases, make him sit beside you. Straighten his neck through chin and hold your pooch’s mouth. Place your moth over his and blow two quick breaths to shove air inside. Be careful not to blow air too strongly as that may over inflate your furry friend’s lungs. Blow 15-20 breaths per minute. Lift your mouth in between breaths so the air can escape naturally. What should you include in your pet’s first aid kit? Always keep your pet’s medical records and proof of important vaccinations handy. Anti-septic wipes or powder to prevent infection. Benadryl, after your vet approves its use for allergic reactions. Hydrogen peroxide to induce vomiting. Plastic eyedropper or syringe for measuring doses. Ice pack to help your pets to deal with pain and swelling. Baking soda to form its paste with water to use it on insect stings. Glucose paste or corn syrup for diabetic canines. Absorbent gauze pads to clean wounds or ear infections. Cotton balls or cotton swabs. Pen light to have a look into your pet’s ears and eyes. In all, uncertain situations could be handled well if you are prepared. Make sure you keep the above things handy and keep a clear head in emergency situations. « Flea Infestation- What To Do When Capstar Doesn’t Seem To Work?